As i was carving on saturday under the Birch trees and the Fur trees i heard the Goldcrest young again crying for food from the adults. 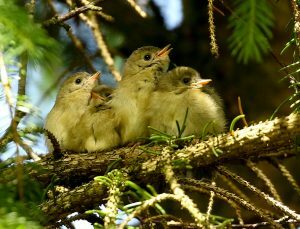 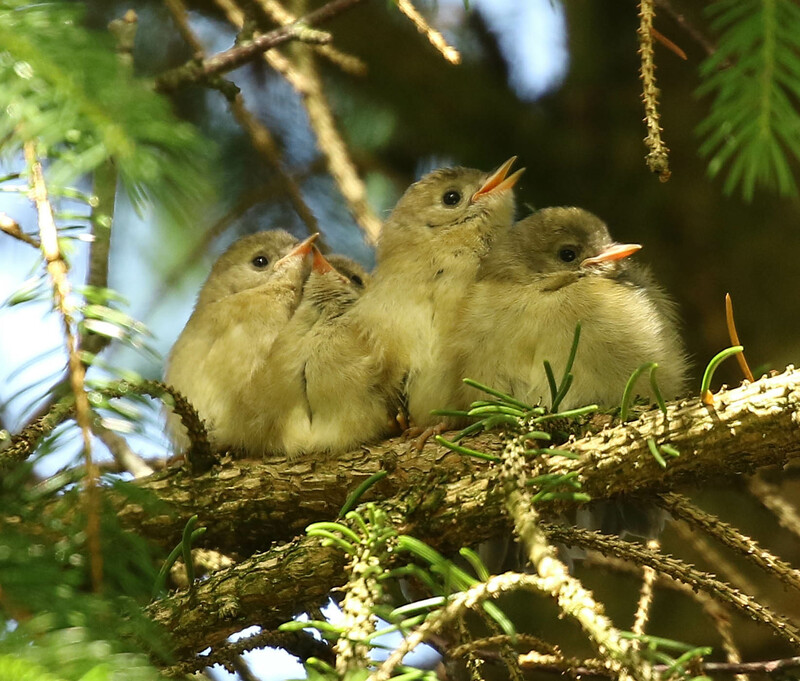 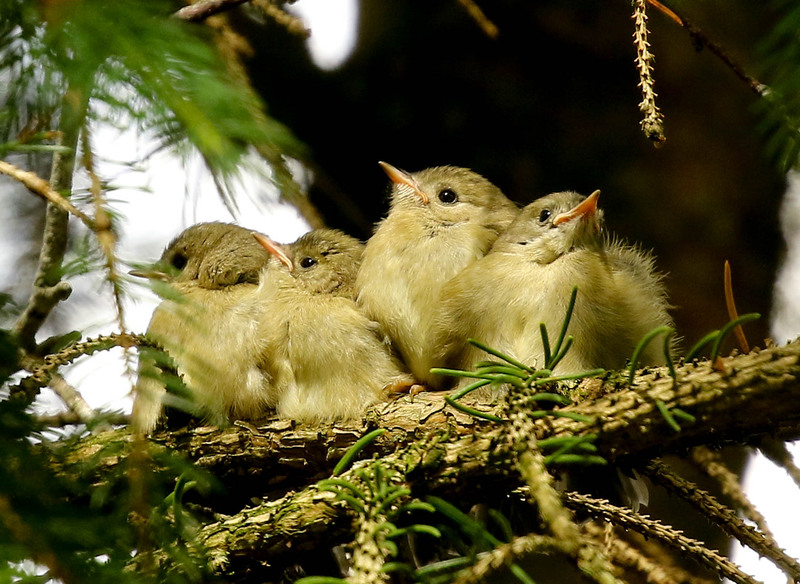 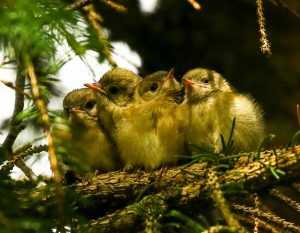 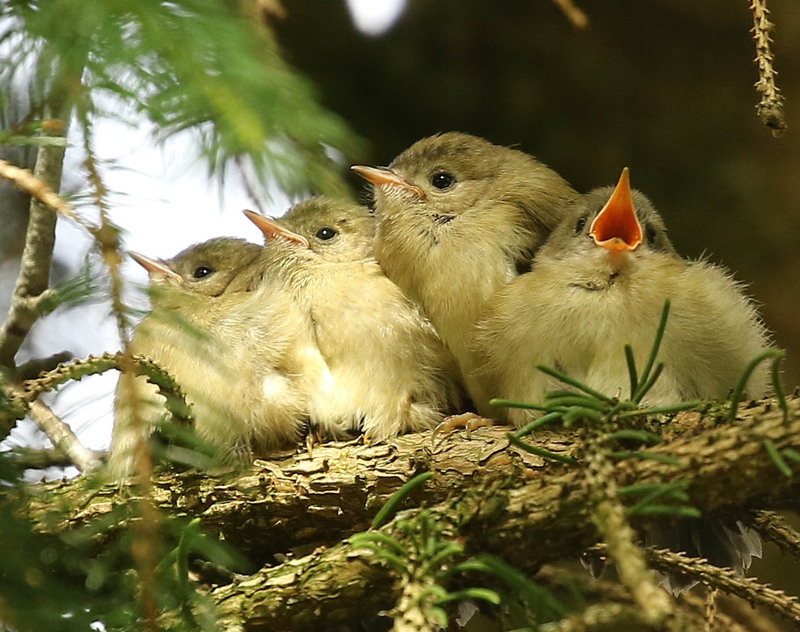 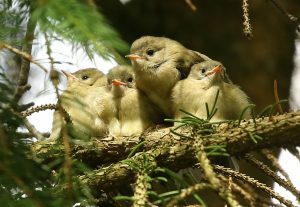 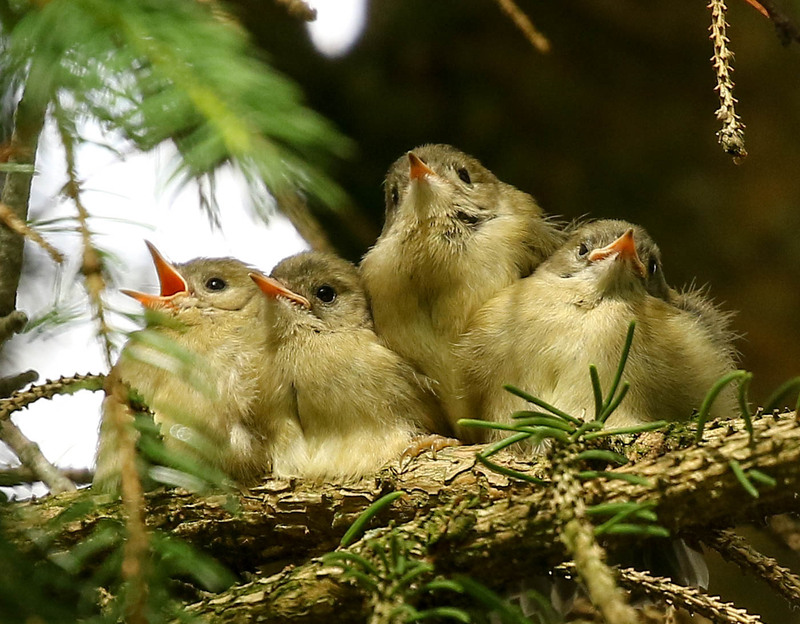 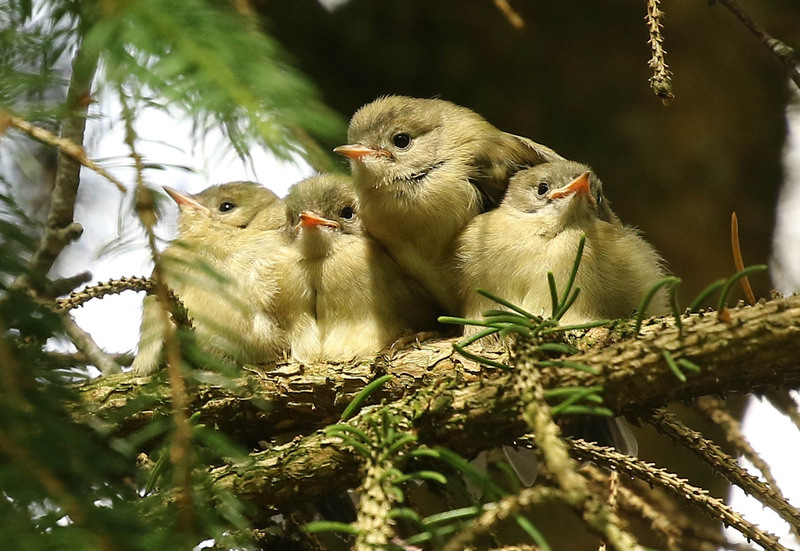 On firther inspection of the the trees i came across 4 young Goldcrest sitting together on a branch. Its rare to get a good shot of a Goldcrest but to get 4 all together is a great find. I hop you enjoy them as i did.